It is never easy comforting a relative, friend or associate who has lost a loved one. People are often uncertain as to the best way to show their sympathy. Adding to this uncertainty are changing trends in how Americans commemorate the death of a loved one. Services are simpler and shorter. Viewing periods are now typically limited to one day, if they occur at all. A greater number of cremations have resulted in shorter or no memorial services. 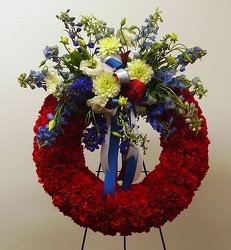 Flowers have traditionally been sent to the funeral home for display during the viewing and service. However, this does not mean that there should be no show of sympathy if no service is held. Grief therapists agree that the rituals surrounding death are an aid in the grieving process. In instances where there is no service, experts recommend sending condolences to the bereaved person or family's home. Wreath: A floral presentation often used because a circle symbolizes eternal life. Spray: Flowers designed for viewing from one side only. Sprays are often placed on an easel. 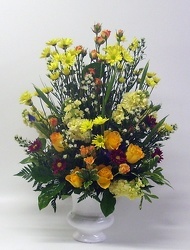 Floral Arrangement: A mix of fresh flowers displayed in a vase, basket or other container. Casket Spray: Flowers designed for the top of the casket - usually ordered by the family. Inside Piece: A general term to describe small floral designs placed inside the casket. Examples include satin hearts, nosegays or small sprays. 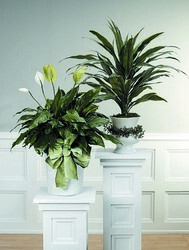 Ask your florist for details regarding the variety of options available in floral sympathy arrangements. Experts say that although the initial outpouring of sympathy is a great comfort to a family that has lost a loved one, many people experiencing such a loss appreciate being thought of in the weeks and months after the funeral. Consider sending flowers or a plant with a personal note to the home of the bereaved. Your message of, "I'm here if you need me," will show the bereaved that no matter how much time passes, he or she can count on your support. To send sympathy flowers to a service from Twigs, click here. 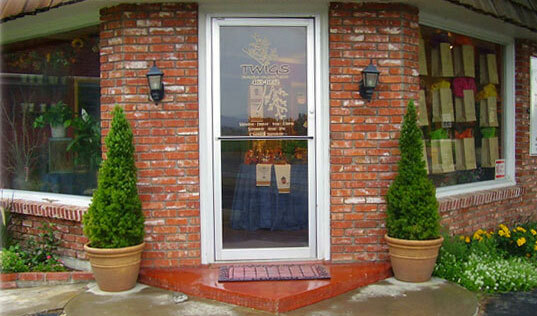 To send sympathy flowers to the home from Twigs, click here.